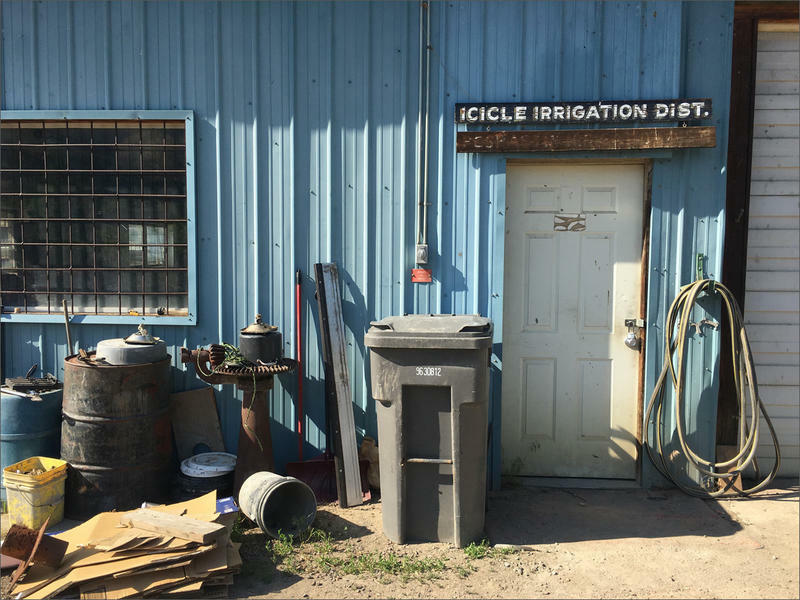 The Icicle and Peshastin Irrigation Districts have come under intense questioning and scrutiny as one of their four dams is under intense pressure this week and is in danger of failing. 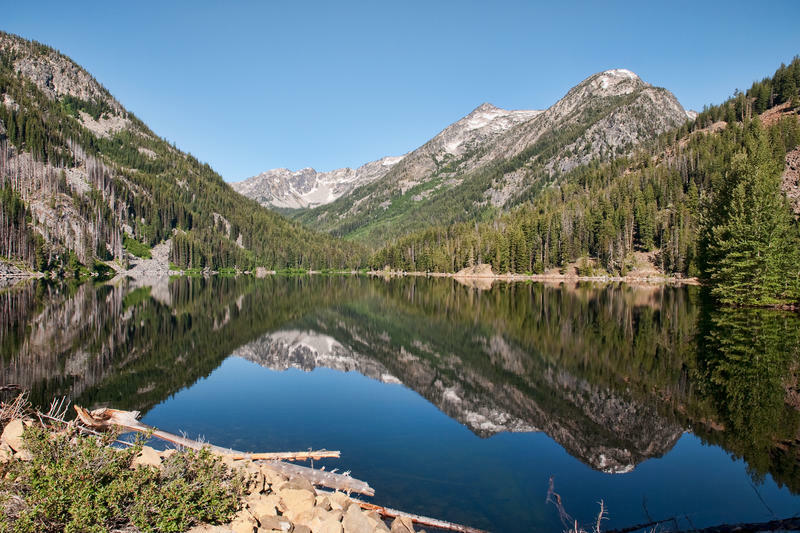 The National Weather Service is predicting possible thunderstorms later this week around the Bavarian-themed town of Leavenworth, Washington. That could cause the Eightmile Lake Dam above the town to fail. 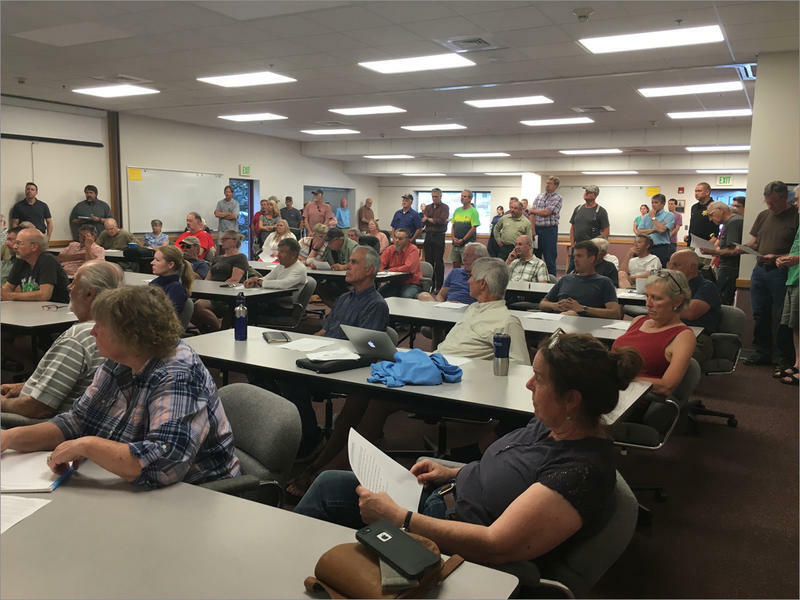 And a simmering dispute between the local irrigation district and the U.S. Forest Service isn’t helping. Eightmile Lake Dam sits in a federal wilderness area. But a local irrigation district owns the dam, which helps water fruit trees, grapes, pastures and yards. “Yes, it’s an old dam and is it’s deteriorating. 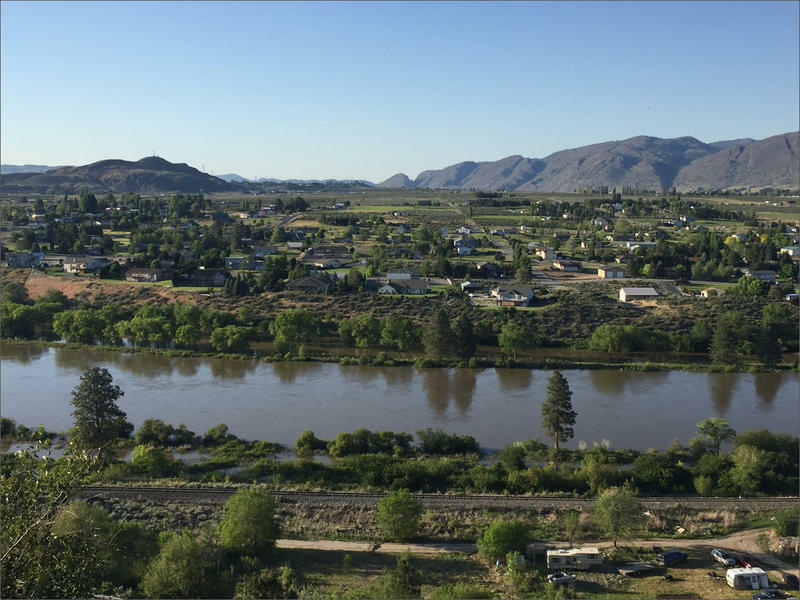 But the problem is that the dam was never designed to handle the amount of outflow that the watershed can produce at this point,” said Tony Jantzer, who manages the Icicle & Peshastin Irrigation District. This week, the dam’s condition has become a crisis. Tony Jantzer heads the Icicle and Peshastin Irrigation Districts that own the Eightmile Lake Dam that's under pressure from heavy snowmelt and possible thunderstorms near Leavenworth, Washington. It’s unseasonably warm. Snow is rapidly melting above the lake the dam holds back. And the area was largely burnt out by the Jack Creek wildfire last year. That means the rocky soils now won’t absorb as much rain. Fresh storms could turn even more snow on north-facing slopes into fast-running water. And now the dam has a plugged low-lying release pipe. So instead of letting out a bunch of water, the clogged pipe is only letting out a trickle. 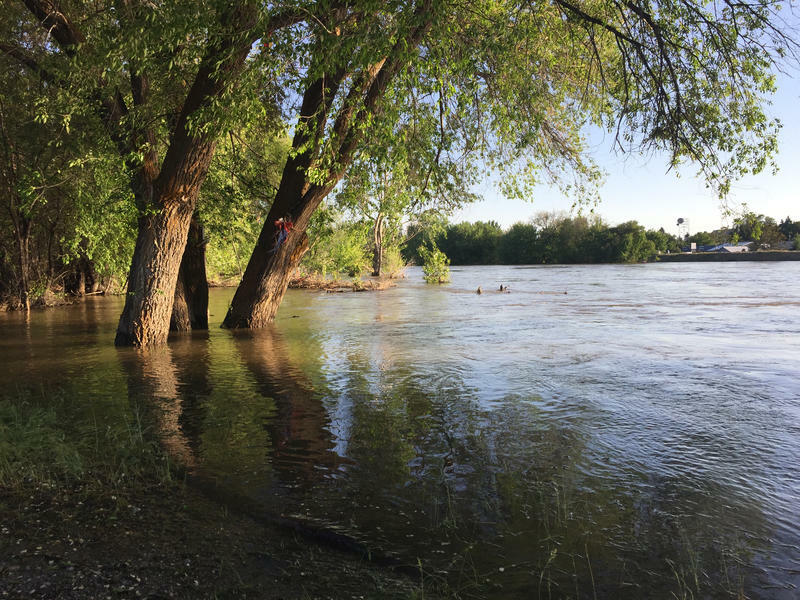 If the dam fails before it can be fixed, officials say it could take out popular hiking spots, campgrounds, roads, a fish hatchery, a community theater and possibly as many as 50 homes. “Luckily my home’s not worth much -- but the land is, and lives are, and my animals are. ‘Cause I have a farm. 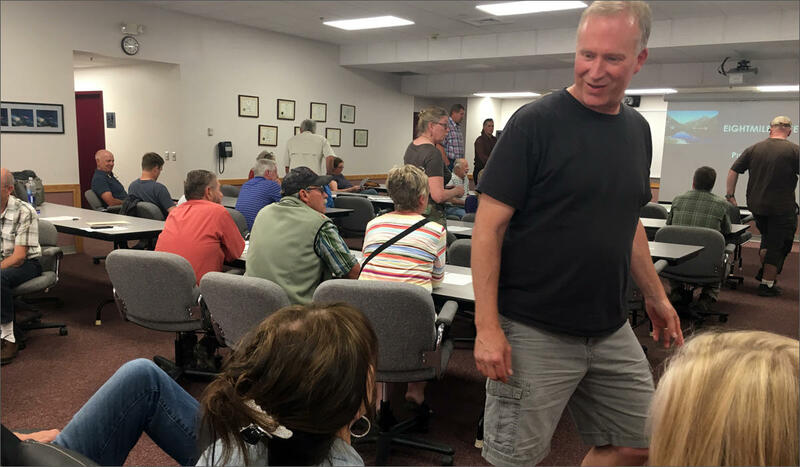 And there is no way I’d be able to get them out, so they’d all die,” said Will Henson, one of about 60 downstream residents who packed into a sweaty firehall in Leavenworth to hear the plans from officials. Jantzer has hired a consultant from Seattle and said the district is working with state experts. 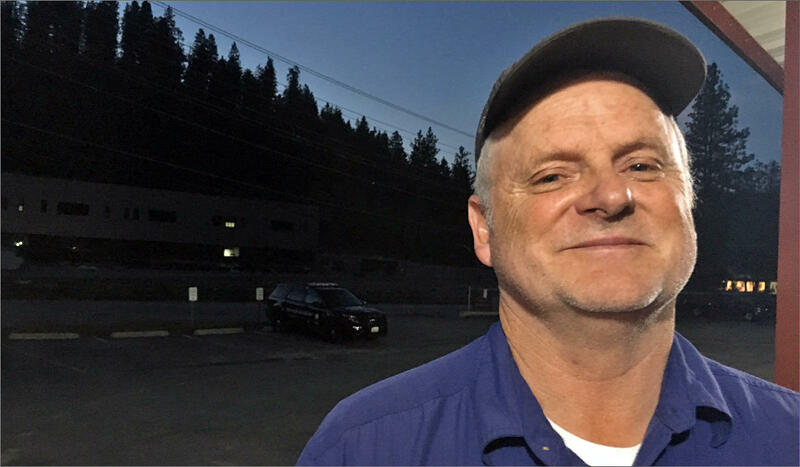 “So we’re going to do the best job that we can right now to make it as safe as we possibly can,” Jantzer said. But some in the firehall blamed the irrigation district for failing to maintain the dam. Bruce Mack, of Monroe, Wasington, says he questions how the irrigation district and its dams have been run over the years. Jantzer said there are short-term fixes: tearing down parts of the rock spillway and earthen dam to let more water out of the lake. And installing a larger pipe to drain out even more water. On Saturday, the irrigation district spent nearly $100,000 to fly an excavator up to the remote dam. But, the machine sat idle for about three days waiting for a federal permit. Long-term, Jantzer wants a new dam. But U.S. Forest Service manager Jeff Rivera said that’s a tall order in a designated wilderness area. He said some actions on this scale could require a new law by Congress or presidential approval. But Rivera said that is not something that happens fast. For now, Jantzer’s hiking up to the dam with three-days worth of food and hand tools. once the water is low enough, he plans to crawl into the clogged 300-foot-long drain pipe himself. “Anything that’s dumb and risky—I’m the manager of the district—I don’t ever ask anybody to do something that I think is suspect. So I do it myself,” Jantzer said. Jantzer said the irrigation district may end up suing the Forest Service. In the meantime, the district owns three more dams above Leavenworth—all of which are around 100 years old. And there aren’t any reports on their current condition. 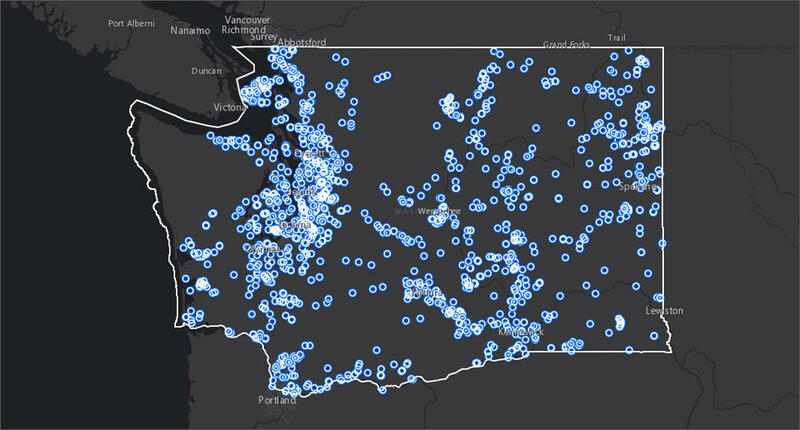 This map displays all 1,100 of the state-regulated dams on record with the Washington Department of Ecology's dam safety group.